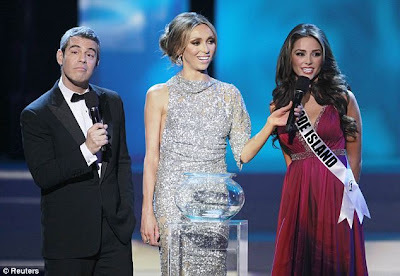 The winner of "Miss USA 2012" was a 19-year-old Olivia Culp (Olivia Culpo), representing the state of Rhode Island (22 photos). Finale of the beauty contest was held in Las Vegas, June 3 evening local time (early morning of June 4, Moscow time .) In addition to traditional competition in swimsuits and evening gowns, pretender to the title of "Miss USA" this year had to answer questions sent to Twitter.